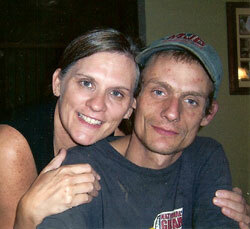 Help Union Mission rebuild lives torn down by addiction by giving to Foundations. Make a Donation to Union Mission in Honor or Memory of your Mother. For years, Janet's son Tommy suffered from drug addiction. Janet knew in her heart that without intervention her son, now in his thirties, would probably not live another year. Desperate to help her son, Janet prayed to God for direction. No mother wants to see her child addicted to drugs. No mother wants to bury her child due to a drug addiction. Through God's grace, Janet was directed to the Union Mission. Tommy had entered the program over a year ago. 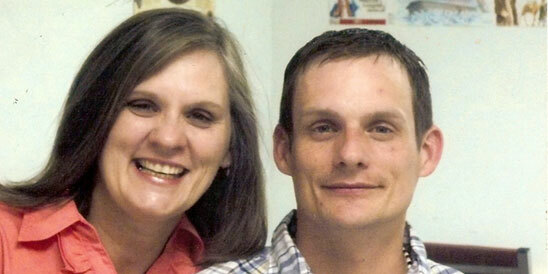 On Mother’s Day last year, Janet was able to see her son Tommy free from the chains of addiction. It was the first time in many years. Below is Janet’s account of her Mother’s Day experience seeing Tommy for the first time since entering the Foundations Program. Looking back a year to Mother's Day 2012, I can say that it was a day of unspeakable joy spent with my son, Tommy. This was our first visit to Union Mission since driving 450 miles from New Jersey in late January to leave him at the Union Mission Crossroads Shelter. Since then, I received many letters telling me of the changes that had taken place in our oldest son, then 33 years old. For more than half his life my heart grieved for a son walking in darkness and bound in the chains of drug addiction that I knew only the Light of Christ could penetrate. Union Mission was God's answer to our prayers and I couldn't wait to see Tommy. It was Mother’s Day (2012) and my husband and I were to meet him at the Bible Center Church that morning to attend the service and class with him. We then planned to head to the Mission for lunch, a tour, and time to visit with him. I was more excited than a child on Christmas morning waiting for his arrival. When I finally saw him, there are no words to describe the moment. Seeing my son free-in-Christ with life in his eyes was a joy like no other. A total transformation from the death in his eyes a few years back as we were celebrating what I thought could be his last birthday with us. I remember the fear that gripped my heart of one day burying my son. Now, he was embracing me with all the love and hope I'd longed to see. It was a glorious Mother's Day! My son, a new creation in Christ! Thank you, Union Mission! We are so grateful for your Christ-centered Foundations Program. Through it our son was given LIFE! Tommy graduated from the program in January and returned to New Jersey where he is living with his grandfather. He is working a steady job and has purchased a car and insurance. He is enjoying spending time with his family and especially being an uncle. Even more important than his becoming a productive member of society and restoring family relationships, he is now a member of the body of Christ and he continues to walk and grow in his relationship with the Lord. To God be the Glory! Janet never gave up hope on Tommy despite some very trying circumstances. Chances are someone in your family is battling an addiction to drugs or alcohol. For almost every addict, family members are also affected. They are the hidden victims of addiction. Janet has been in your shoes. She will tell you through Christ hope can prevail. For over 100 years, that’s what we’ve been providing here at Union Mission. Hope that people can overcome bad decisions. Hope that tragedy isn’t the last chapter in someone’s life. On behalf of Janet, Tommy and the thousands of others who find hope here, thank you for your partnership. It means more than words can express. Your gift is an investment in the lives of men, women, and children who are struggling through life. As this Mother’s Day approaches, please consider making a special gift to Union Mission to touch the life of some mother’s son or daughter. You can provide HOPE for many more people (like Tommy) so they will know the love and support available to them when they come through our doors. Your partnership is vital to making this happen.